As a dentist Glen Allen patients trust for their oral health and soft tissue management needs, we have to ask: do you floss? We’re not referring to the dance fad that swept through the gaming world last year. We want to know if you floss your teeth. Flossing is an important part your oral hygiene needs to be healthy. So let’s take a look at why we floss. Our Glen Allen dentist offers soft tissue management solutions to patients at risk for periodontal and gum disease. When you skip flossing as part of your oral hygiene needs, you are opening your mouth up for a wealth of problems. Daily flossing keeps gums healthy and free from bacteria. Flossing can involve traditional string floss, water flossers, or floss picks. Truthfully, any ADA and Glen Allen recommended product that gets between the teeth and gums will work. Some patients prefer water flossers over string floss and vice versa. Do what is best for you so that you won’t try missing a day. The molars are often the hardest to reach and the most forgotten teeth. Talk with our Glen Allen dentist if you would like to learn how flossing will help your oral hygiene needs. 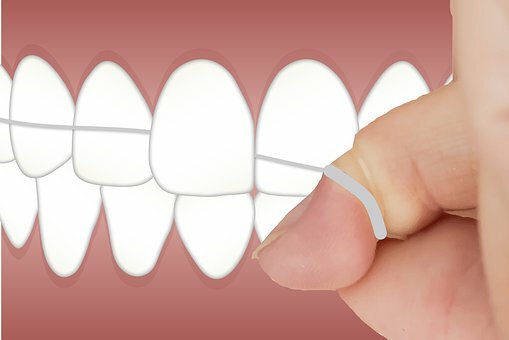 We can also help with some tricks to reach those back teeth when flossing and brushing. Our goal is to keep your oral health in great condition so that your smile continues to shine day after day. We want our patients to be the 20% of dental patients who don’t have gum disease; rather than see them become part of the 80% of people who do have gum disease. With regular brushing and flossing, we can make this happen! Find more great tips on our Facebook page or schedule a professional cleaning with our office today!